“Right now all we can do is improve,” Maradona wrote on Instagram on Tuesday. Football legend Diego Maradona has taken to social media to express support for Argentina’s national team following a 6-1 loss to Spain in Madrid. The result at the Wanda Metropolitano Stadium represented Argentina’s worst defeat since 2009, when an Albiceleste team coached by Maradona fell 6-1 to Bolivia in La Paz. 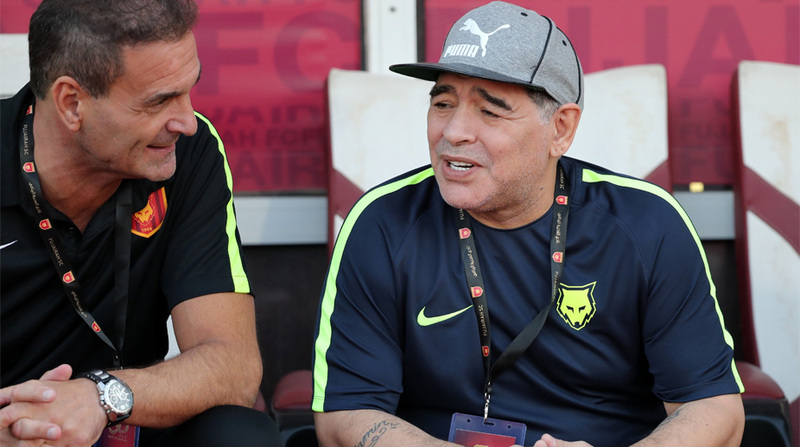 “Right now all we can do is improve,” Maradona wrote on Instagram on Tuesday, Xinhua news agency reported. The positivity of Maradona, who won the World Cup with Argentina as a player in 1986, was not shared by the country’s major newspapers. Clarin was among those to pour scorn on Jorge Sampaoli’s side, which struggled in the absence of injured talisman Lionel Messi. “Argentina is lacking world-class players in decisive positions,” it said. “How many Argentine footballers can say they have (Andres) Iniesta’s talent to pass the ball and organise play? How many come close to the silky skills of Isco? According to La Nacion, the result bodes ill for Argentina’s hopes of winning the World Cup, to be played in Russia from June 14 to July 15. “It was a punch in the face, a real bath,” the newspaper said. “It was a resounding demonstration of Argentina’s reality without Lionel Messi. We can fight, kick and push. But it will be difficult to match teams that are serious contenders to win the World Cup.